Inspector Imanishi works for the Tokyo Metropolitan Police, and the first chapters center around the fruitless police investigation into the murder of an unidentified man found in a railway yard. The majority of the book focuses on Imanishi’s solo and off-hours investigation after the official investigation is closed, so the book is just part police procedural and part solo investigation. This book is very train-centric: the first body is found in a rail yard, Imanishi travels by train to many far-flung locations in search of the killer (the northeast, the shrine of Ise). The book covers a lot of rural towns while Imanishi is based in Tokyo. Besides the urban-rural split, the book focuses on the generational split between Imanishi, who’s 45 and considers himself to be old (! ), and his younger police colleague Yoshimura and the Nouveau group, a group of artists and critics in their late twenties who appear throughout the book. The tone of the book is somewhat detached: I didn’t feel as horrified as I thought I would feel with the mounting numbers of suspicious deaths in the book. Maybe that’s because I had faith in Imanishi’s investigatory abilities. Maybe it’s because I was so focused on picking up on the details about Japan that I don’t come across on a daily basis (various accents, geography during his many train trips, Shintoism). I don’t think this is a book that gets bogged down in the details about Japan and Japanese culture, though. Despite the jacket copy, this is not a brisk thriller with a lot of cliffhangers. Instead, it’s about an investigation that goes in circles but never really felt slow to me. Finally, I think that the cleverness revealed at the end of the book made me appreciate what came before it even more. I’m glad to have discovered this novel as part of the 2013 Global Reading Challenge because I like to balance out new books with older books. I liked getting a slice of post-war Japan, getting a sense of what was a bestseller in the 1960s in Japan, and digging into how investigations differed technology-wise fifty years ago. Matsumoto was quite prolific, but only a few of the Inspector Imanishi novels have been translated into English. Other reviews appear in Mrs. Peabody Investigates and Mysteries and More from Saskatchewan. 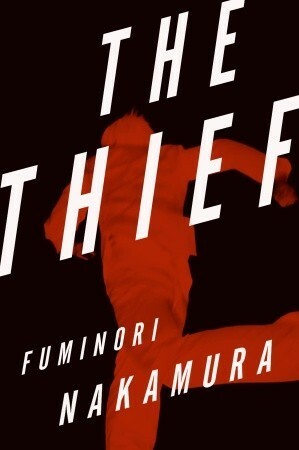 The Thief is a brief tale told by an unnamed thief, who primarily is a pickpocket in the crowded subways and streets of Tokyo but who also has done work for various gangs. The story begins in mid-crime, and Nakamura gets into the thoughts and sensations of this unnamed man who, he admits, does not have a place insociety. He currently works alone, but in the past he had a partner who he fears is dead. During the course of our following the thief, he becomes a mentor to a young boy who is not such a successful shoplifter. He comes to care for him, especially as he fears his days are numbered after he’s enlisted by a criminal gang that threatens to kill him if he doesn’t complete his assigned tasks. This is book is a crime confessional. It’s a story that humanizes the man whose entire livelihood depends on being unnoticeable and unnoticed. This is also a story about fear of the yakuza. I really get a feel for the insanely crowded subways in Tokyo in this story. The fact that the main female characters are a prostitute and the thief’s unstable ex-mistress is a bit grating since the characters are pretty clichéd. In any case, it’s a quick read into the mind of a pickpocket. This book was also reviewed by International Noir Fiction. 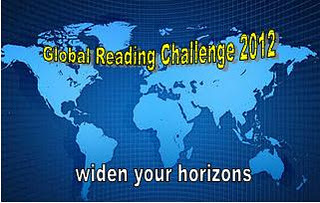 I read this as part of the 2012 Global Reading Challenge.